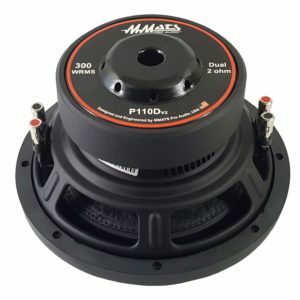 The MMATS Pro Audio P1 Series subwoofers have received some major improvements. Now referred to as “V2” they are designed to not only to play loud and hit harder but will play a wider band of frequencies as well. Designed to work well in both sealed and ported enclosures. 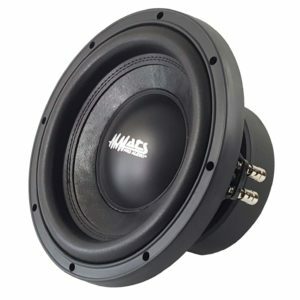 Smooth well defined bass in a well-engineered speaker that will have your friends asking why does your system sound so incredible. You have been wanting a system, now is the time to take advantage of this awesome woofer and awesome pricing to match. 2” High-power Copper wire Aluminum former voice coil. View cart “P110D2v2” has been added to your cart.